If you are a Windows or Mac user, you will be familiar with Windows Media Center or Front Row that both have the ability to turn your computer into a Media Center PC. Linux users don’t have such luck as most distros do not come with a media center application pre-installed. If you are like me who is a Linux user and owns a huge collection of music, videos and pictures, the world is not over for you yet. There are many open-source applications that you can use to turn your Linux machine into a lean, mean media center. In part one of this series, I will go through some of these free media center software that you can use in your Linux machine (also see Media Center alternatives for Windows Cool Windows Media Center Alternatives Cool Windows Media Center Alternatives Read More ). XBMC is by far, one of the best media centers around. Originally built for Xbox, the XBMC team has now ported the popular software to the various platforms, including Linux, OSX and Windows. It supports a wide range of protocols and audio/video formats, making it a versatile media player that you want to have in your system. 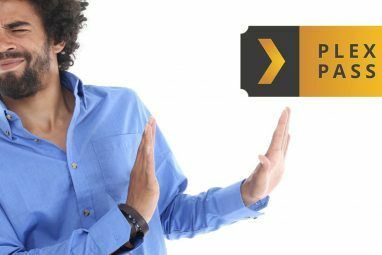 With XBMC, not only can you enjoy your audio/videos/images that are stored in your local drive, you can also stream the multimedia content from the Web, via network share, SAMBA or even from uPnP devices. In addition, XBMC is also extensible via the use of scripts. There is even a site that is dedicated for XBMC scripts. Entertainer aims to be a simple and easy-to-use media center solution for the Gnome and XFce desktop environments. It uses the Gstreamer library in your Linux system to playback multimedia content and it allows you to play audios, videos, pictures, RSS feeds and weather. One of its abilities is that it can download metadata (like cover-art and movie information) from the internet and makes it easier for you to organize and search your media files. The installation and initial configuration is not as straightforward as it should be and it involves running several scripts to get the application running. However, once you have done the configuration and got it up and running, the rest is simply a matter of ‘point and click’. Elisa is an open source media center available on the Linux and Windows platform (the Mac version is due to be released soon). The interface is simple, with only 5 icons in the main screen that lets you select between Picture, Video, Audio, Settings and Plugins. It has a tight integration with the internet and allows you to watch YouTube videos, listen to Shoutcast, view photos from Flickr and many other popular internet services. It is also extensible via the use of plugins. MythTV is a popular software that need little or no introduction. With the necessary hardware, MythTV can turn your computer into a PVR (Personal Video Recorder), a digital multimedia home entertainment system or even a Home Theater Personal Computer. 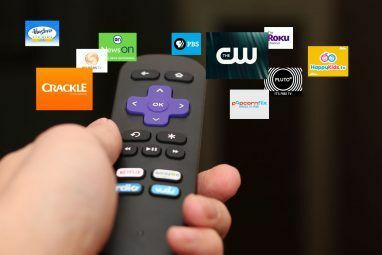 If you are familiar with TiVo, then this is the equivalent to the software version of it. MythTV initially started as a PVR project, but now with the use of modules (similar to plugins), one can also listen to music, play DVD’s, access NetFlix, view pictures, and many more features. Rather than calling it a media center, Freevo is in fact a “media manager” that organizes your media files and enables you to access them all in one place. It uses the mplayer or xine to play your multimedia content and has an image viewer that can rotate your picture on-the-fly to allow easy viewing. With the use of a TV-tuner card, Freevo can also act as a TV recorder. In addition, Freevo also comes with a series of in-built plugins that you can activate to extend its functionality. One of the interesting plugins is the game plugin that allows you to play your console game on the computer (via an emulator). GeeXboX is not a software that you install on your Linux. It is instead a small Linux distribution built with the intention to turn your PC into a Home Theater PC. There is no installation required. You just need to boot up the LiveCD and it will run by itself. You can even use it on a diskless computer, where the whole system is being loaded in your RAM. While a full Linux distro comes in a size of up to 700MB, the ISO of GeeXboX is only 9MB and it comes with a complete and automatic hardware detection, thus does not require any drivers to be added. It supports playback of nearly any kind of audio/video and image files and all known codecs and containers are shipped in, allowing playing them through various physical supports, either CD, DVD, HDD, LAN or internet. Now, if you are looking to recycle that old computer, GeeXboX might be the one for you. In Part 2, I will discuss using your Linux machine as a media server. Explore more about: Media Player, Television. How about TV Tuners? Can someone touch on good TV tuners that have drivers for Linux and work with HD transmission? And do all of these media centers have good DVR functionality? I first looked at LinuxMCE but it is tied to an old Kubuntu realease 7.1. This version does not seem to run on new mother boards. I have tried installing it on two different mobo (Asus and XFX) and neither works (No HMDI, screen is blank after system boots) I finally gave up and loaded Windows Vista MCE. But those other suggested MCEs in this article is worth a try. I prefer linux but I gave up until I read this article. to configure XMBC to do my biding. Alas, I am having trouble. My Linux flavor of choice is Xubuntu. checked and UNchecked to boot all to no avail. to boot all to no avail. Good call Chrisclap. Moovida is awesome but it was mentioned. Moovida is formerly known as Elisa. After reading all these reviews i have to say that i am impresed but also a little confused, i am currently running Moovida on my computer an i honestly believe it should be up there too. well thanks for the info on this site it help me to try to install a linux MC. I went with the Ubuntu and was not able to get the MC part up and running and thats because I have a Pinnacle PCI 800i with by the way is not supported well in linux as Pinnacle itself. Now I understand that there is a bios update that might get it up and running in Ubuntu so I will check into that. does linux mc work on ubuntu? I use Fuppes on my old rig to serve media to my ps3. I just stripped down my existing Ubuntu install to the bare minimum and am controlling it on my new rig via remote desktop or even the web UI. Fuppes might be a pain to setup but it sure running smooth once it done. It works well in my computer. Did you set the correct configuration? Or did you install the mp3 codec in the first place? Linux as a HTPC rocks. It's solid, stable, feature full and blows the competition away in terms of functionality. I'm a moderator at what is one of the worlds largest Windows MCE community forums (xpmediacentre.com.au). 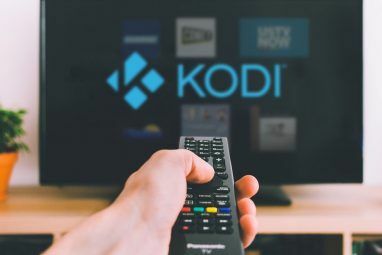 Recently we have opened the site to support and discussion for XBMC and Mythtv so as a whole we provide end user support to a great many HTPC products and discuss and compare a lot of solutions. For four years I aided users of MCE in any way possible, constantly fighting with a lack of functionality and a myriad of bugs until I finally got around to installing Mythtv and XBMC. Since that day (some 8 months ago), I've experienced what HTPC should be. Functional, stable, DRM free, end user computing for the end user, not the corporation! Opening the site as we have is a sign that Linux is rising in popularity as it deserves to. If you want help to build the ultimate Linux solution you're more than welcome to come and join in. If you are already knowledgeable we can always use some help showing those disappointed with windows solutions just what Linux can do. We cover a great many topics, cases, hardware, tuners, displays etc, well worth a visit (though I am biased) :) While we're primarily focused on HTPC use in Australia (and the local specifics of guide implementations etc), we always love to see international visitors. As you can tell I'm a big fan of GNU/Linux and everything it and FOSS represents. How does XBMC compare to the xbox 360s setup. I really love the xbox 360 setup they have made it super useable and STABLE. The setup is exactly the same. You will find the familiar interface no matter you are using it on xbox 360, Windows, Mac or Linux. There is even a live version where you can boot up from a Live CD. I am sure you will love them all. Nice article. Been looking into MythTV last few days. p.s. Could you guys please do an article on setting up a standalone torrent box. Linux or otherwise. Something that can run utorrent would be best as it's webUI is better than some of the other browser-based clients i've seen. For a "stand alone" torrent box, I suggest FreeNAS. It is dirt simple since it requires no operating system install, just load to nearly any old box you have using the free liveCD. It is a SoHo server application but it has a nice Bittorrent service built in, with a Web Browser GUI. You can just use the torrent service alone, but after you see all the other things FreeNAS can do, you may want to enable CIFS/Samba, NFS, LDAAP, or any of the other good stuff. Directions for initial setup [mounting the hard drive(s) etc.] can be downloaded from FreeNAS, or there are easy tutorials many places on the web. Linux MCE can stay off the list for now. I think the author at present at least in part one here has done a good job of showing the "more simplier" MCs. Just something to play videos, music, and pictures. This fixed a dependency and let me use the Hardy repo. I finally got around to trying XMBC last week after using half a dozen of these programs. I have to say it has the slickest presentation in terms of animations and transitions. The menus are also comprehensive. Seemed to have lots of options for display so works well on either a hires monitor or a TV in any format/ratio/resolution and can be tweaked by hand as well. Handled 1080p playback OK too. This fixed a dependency and let me use the Hardy repo. I guess they will have an Intrepid repo up soon after the official launch tomorrow. Yeah, Boxee seems to have something big coming! Boxee is still in close beta and not available for download yet, but it is definitely looking good with the first media center to integrate social networking. Boxee, its xbmc based and does a great job of grabbing the cover art and metadata. No LinuxMCE? Sure it can be complicated but it shouldn definitly be on the list. You forgot one of the best media centers out there, LinuxMCE.... not only can you record, play, stream, etc., but you can integrate all your other stereo and video hardware with your computer, and make use of a universal remote to control it all. It doesn't stop there either.. home automation anyone?!?! Seriously, everyone should check out LinuxMCE... it's incredible..
LinuxMCE is no doubt a good media center, but the reason I didn't include is because it can only be used on Kubuntu, specifically version 7.10, and not any other Linux distro. Wow, I didn't know there were this many! I use both Mythtv (for recording TV and stuff like that) and Elisa (for music player and picture viewer) but I need to try some of the others!